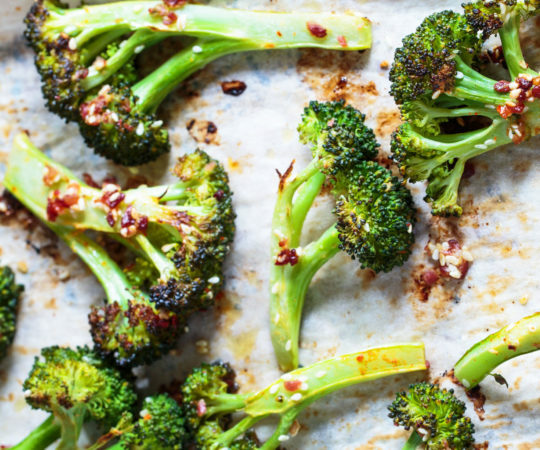 This paleo-friendly recipe is extremely easy to prepare and I'm almost 100 perfect sure that you're going to love this combination. 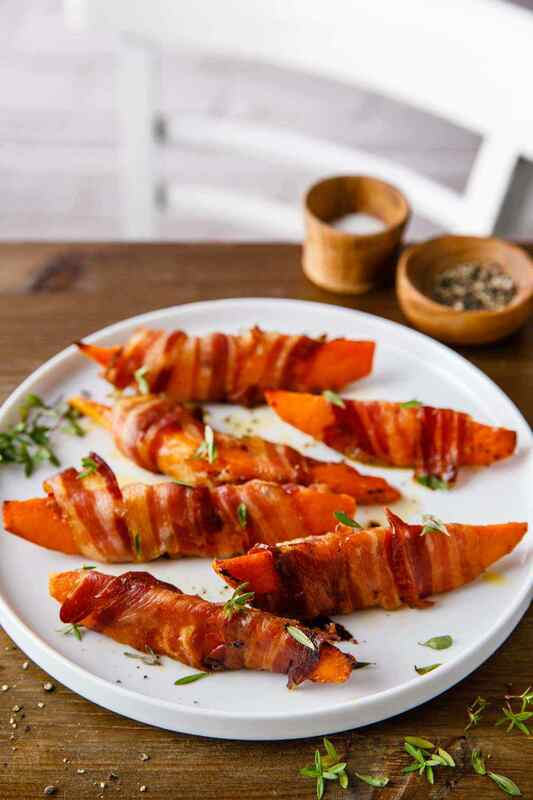 We've got sweet potato, a paleo staple in many forms and bacon, a crowd favorite. Combined, they make a sweet and savory snack that you can have alone or as a side dish to complement a hearty entree. Who doesn’t love bacon? The smell of hot, smoky bacon sizzling in its own fat will cause almost anyone to rush to the table to eat. 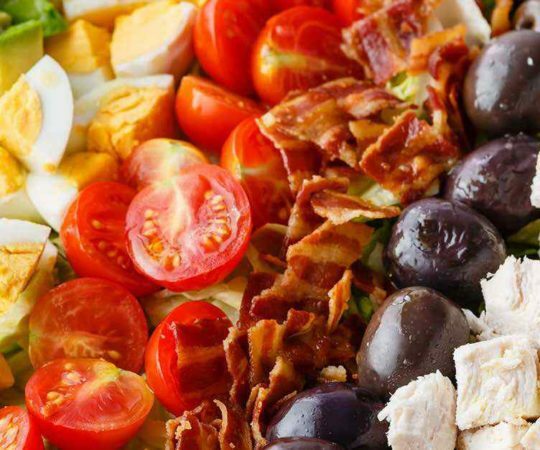 The best part is that bacon is perfectly acceptable to consume on a paleo diet. 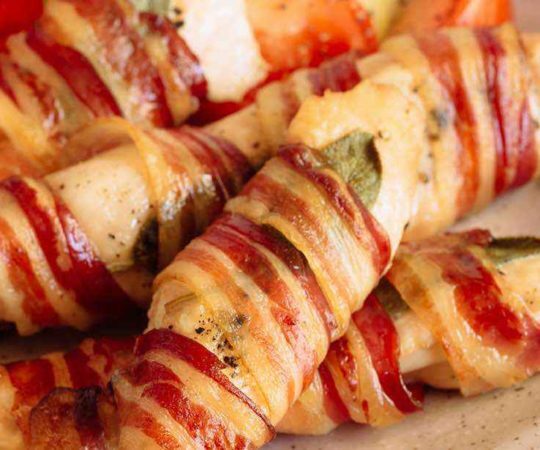 Bacon is a good source of fat and protein and is also a versatile cooking ingredient. 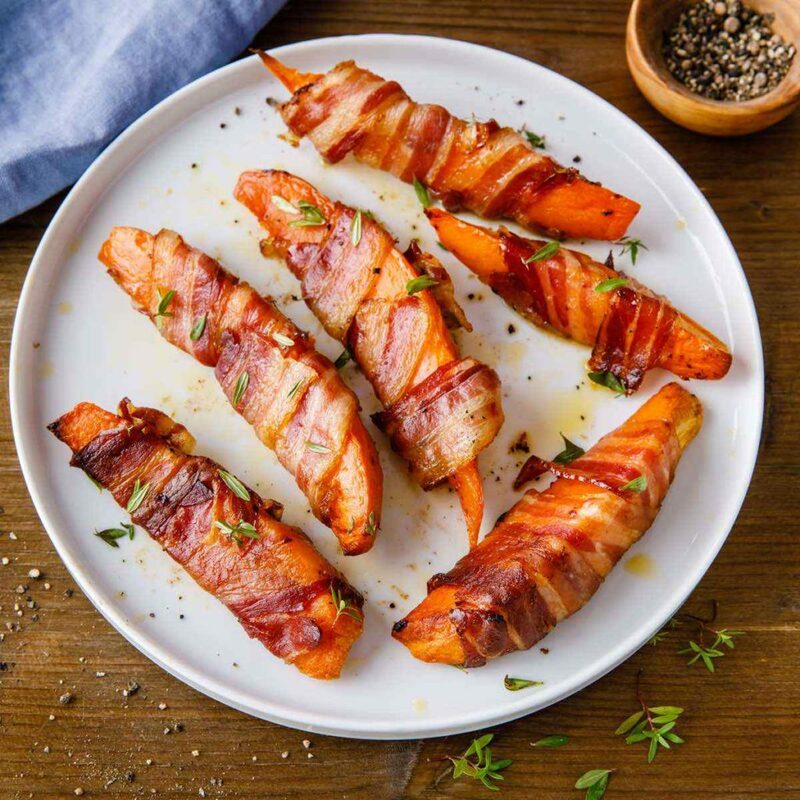 It’s no wonder you see bacon as a staple or complimentary ingredient during breakfast meals, lunch dishes, dinner entrees, and even on some desserts. 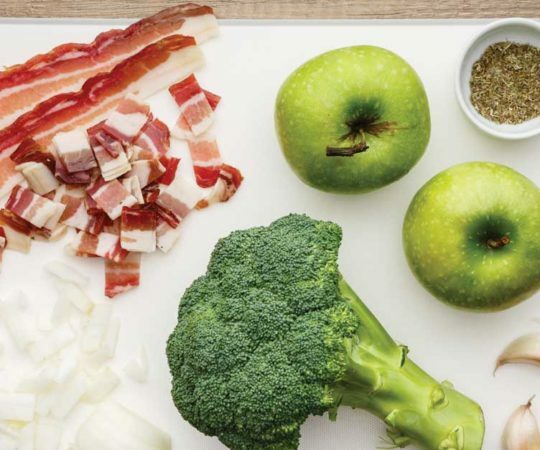 Be sure to look for uncured bacon that has no added preservatives, nitrates or artificial ingredients. Cutting your sweet potato wedges evenly is crucial for cooking. When some wedges are cut too thick, they may end up being undercooked and soggy. On the contrary, wedges sliced too thinly may end up getting burned in the oven. 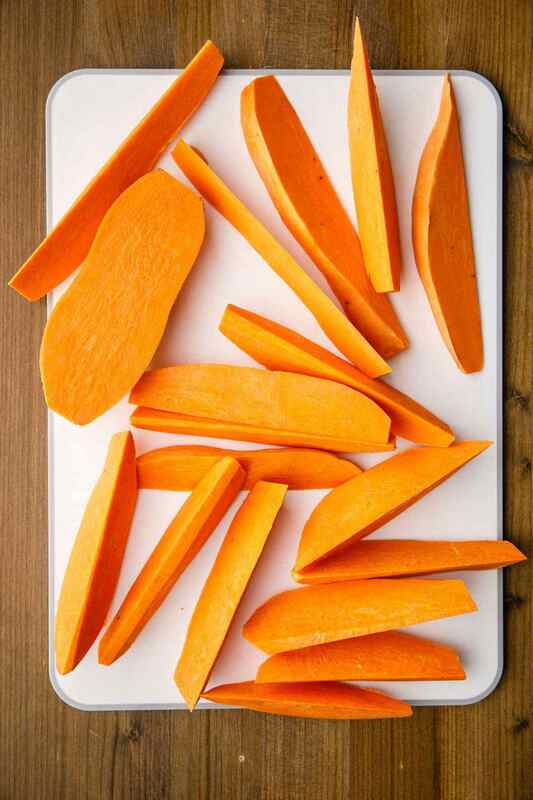 To make sure your sweet potato wedges are cut evenly and come out perfectly cooked every time, we highly recommend this nifty tool that will also help you save on time, energy and avoid wasting ingredients. 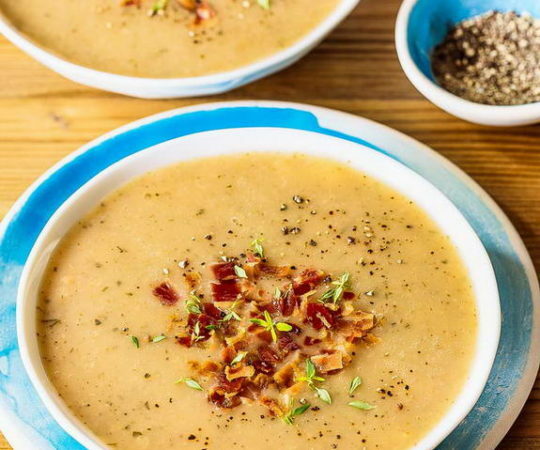 When it comes to cooking, we tend to make dishes that are easy to prepare, contain fresh ingredients, are nutritious, and of course, enjoyable for the whole family.It’s a tasty recipe for those who are on a lower-carb or higher-fat diet, and can easily be adapted to suit other dietary guidelines. 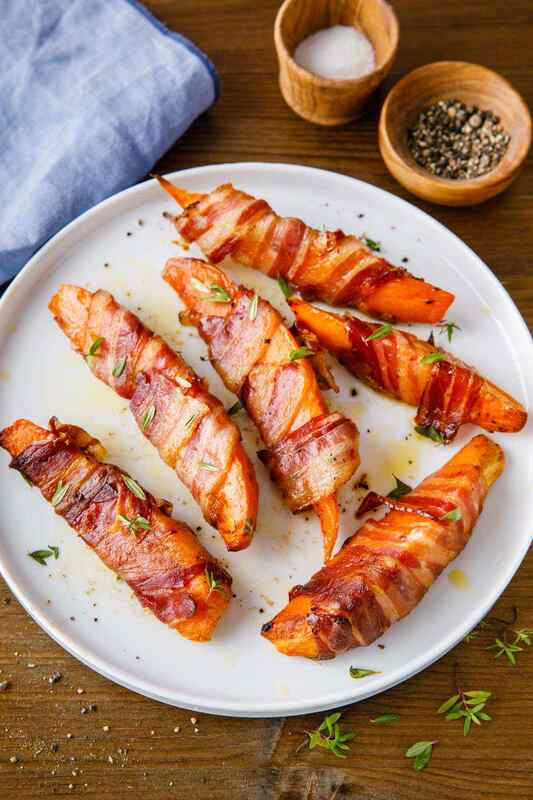 Bacon-wrapped sweet potato wedges are perfect to serve on any occasion and will satisfy most savory cravings and we can almost guarantee that you’ll be back for seconds. In a bowl mix olive oil, red pepper flakes, smoked paprika, black pepper and good pinch of salt. Add the sweet potato and toss to coat. 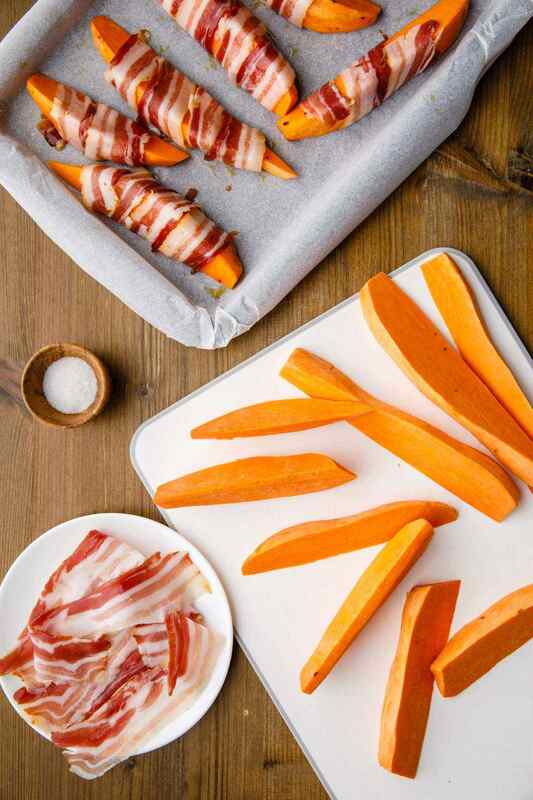 Wrap each wedge with one slice of bacon. 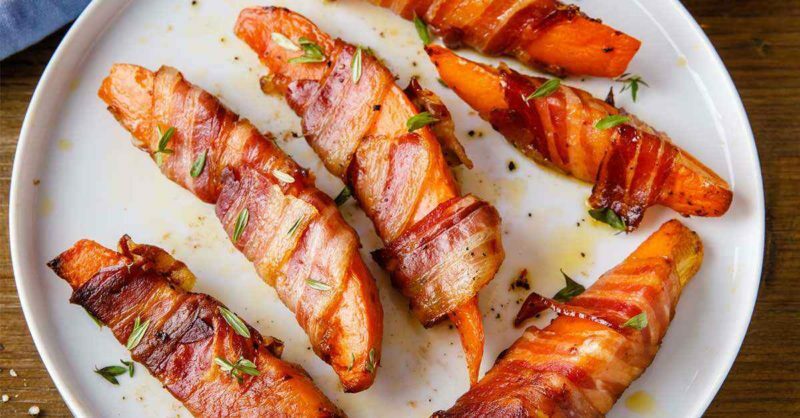 Bake for 30-35 minutes or until sweet potatoes are tender and bacon is crispy. 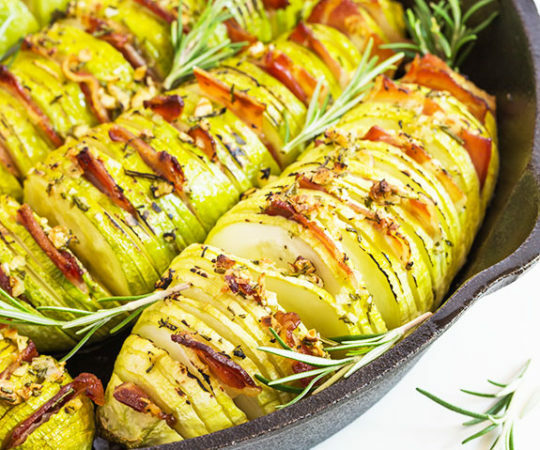 Serve sprinkled with fresh thyme leaves (if using).